Ten of Australia's top emerging country music artists will compete to become the 40th Toyota Star Maker winner at the Toyota Star Maker Grand Final, the main event on the first Sunday of the iconic Toyota Country Music Festival Tamworth. Sydney-born Arna Georgia grew up in Sans Souci and has spent the past 10 years studying singing, dance and acting. She obtained a Certificate IV in performance, a Bachelor of Music and is a graduate of the CMAA Academy of Country Music. She has performed at the Tamworth Country Music Festival, Bluewater, Gympie Music Muster and AmericanaFest in Nashville. Arna completed a 17-date US tour as the special guest of Bill Chambers playing house concerts, venues and festivals across 23 states. In further touring, Arna joined Amber Lawrence and Catherine Britt on the southern NSW leg of their Love and Lies tour and later, opened for Travis Collins and Amber on their Our Backyard tour. Most recently she teamed with Hayley Marsten, playing shows in NSW, Queensland and Victoria. Her influences run deep in country, back to the Carter Family, Hank Williams and Johnny Cash. Arna is writing material for her debut 12-track album release. 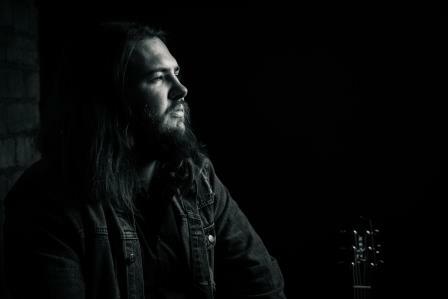 From Port Macquarie on the mid-north coast, Blake O’Connor grew up in a house surrounded by country music – mostly Johnny Cash. At 14, Blake scored a gig as a wedding singer, so he wrote his first song for the occasion … and hasn’t stopped writing & performing since. In 2015 he was a featured artist in the NSW Schools Spectacular playing four shows at the Sydney Entertainment Centre with audiences of more than 20,000 people. Blake has opened the show for a number of big stars including Brooke and Adam Eckersley, Adam Brand, Russell Morris, Drew McAlister and the 2018 Toyota Star Maker winner Brad Cox. Like many big stars before him, Blake has entered and won talent quests, busked on the streets of Tamworth, won the CCMA Junior National Talent Quest and received a scholarship to the CMAA Academy. In 2018 Blake released his debut, self-titled EP, which experienced excellent airplay and chart success. Her first gig was at the age of eight, so you could say Chelsea Berman knew what she wanted right from the start. Now in her late teens, the Central Coast-based singer-songwriter has her sights firmly set on a career as a professional recording artist. The independent release in early 2018 of Better Than Ever, her five-track debut EP, exceeded expectations, achieving the Apple iTunes Country Album #4 chart position. Chelsea was both the highest-placed Australian artist, and highest-placed female artist on release. 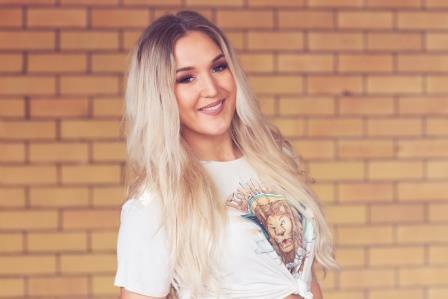 Already a polished songwriter, Chelsea has created many exciting opportunities on this front, having co-written with top talent including Troy Kemp, Chelsea Basham, Matt Scullion and Melanie Dyer. Chelsea played in the Emerging Artist Showcase at the Gympie Muster, took the stage at the Country at the Camp Festival and Country Live on the Lake, and supported Kirsty Lee Akers, The Viper Creek Band and Kristy James on tour. Raised in the small country town of Springhurst, Victoria, Jake Sinclair is considered somewhat of a triple threat – as a singer, songwriter and musician. He’d set his sights on a country career early on, when as a six-year-old he picked up a guitar. By his teens, Jake was entering talent quests and playing in bars. 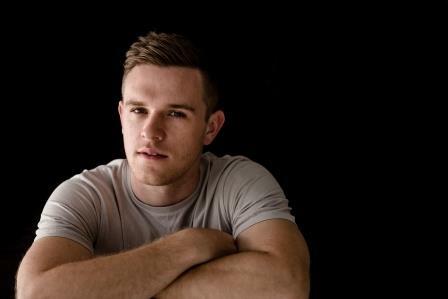 A graduate of the 2005 Tamworth Camerata (the predecessor to CMAA Academy), Jake has become the go-to musician and backing vocalist for touring artists such as Travis Collins, Jayne Denham, Luke Austen and Travis Sinclair. His songs have been recorded by Adam Harvey, Mick Lindsay and Jemma Beech. In 2017 Jake stepped into the spotlight with his own songs, and released his debut EP, The Vibetone Sessions, produced by Benjy Pocock. After two years of successful touring with his debut EP, Jake returns for the second time as a Toyota Star Maker grand finalist. From the South Australian wine region of McLaren Vale, 20-year-old songwriter and country singer Juliet Oliver first discovered country music through watching Disney program Hannah Montana as an 11-year-old. She taught herself to play guitar on YouTube and was pulled into the country arena by Taylor Swift. She later discovered and was inspired by the great women of country – Patsy Cline, Linda Ronstadt, and songwriters Dolly Parton and Jason Isbell. She recorded her debut EP with producer Simon Johnson at Hillbilly Hut on the NSW Central Coast. A passionate entertainer, Juliet has been building new converts through her shows on South Australia’s Fleurieu Peninsula, south of Adelaide. With a country attitude, there is definitely a little edge to Juliet Oliver with a touch of classic. She is true to herself, her age and where she comes from. She writes what she lives, and not pop songs decorated in country feels. After years of competition, Queensland-born Leigha Moore hit her straps at the age of 23. That was when she took out Queensland’s Champions of Champions Female Vocalist of the Year 2013 and secured a scholarship to the 2014 CMAA Academy of Country Music. She then went on to win the Gympie Muster Talent Search in 2014 and compete in the Trans-Tasman Entertainer of the Year on Norfolk Island. She’s just released her debut EP, a five-track outing that takes the listener on a journey of heartbreak, self-resurrection and female empowerment. The title track, I Ain’t Your Girl No More, written by Kelsea Ballerini, is a fearless introduction to the EP, despite the boldly honest lyrics and isn’t your average break-up anthem. “I feel so incredibly blessed to have had the opportunity to record this song,” Leigha said. Born in country Queensland in 1992, this singer-songwriter has lived a life and then some. At age 17 he was given a scholarship to Camerata (the forerunner to CMAA Junior Academy) by The Pub Group owner, Joan Douglas after she saw him perform with his band in the Jazzer Quest. At the time Joan told a friend it was “like watching a young Michael Hutchence”. From high school bands, national tours as the bass player in a southern rock band to fronting his own Aussie rock trio, Linc has spent a decade immersed in music and never missed an opportunity to soak it all in, all the while fine-tuning his skills as a singer, songwriter and performer. In early 2016, Linc embarked on his long-awaited solo career. Armed with a collection of honest and emotional self-penned songs, a great work ethic and a lot of good people in his corner, Linc hasn’t looked back since releasing Tempus. Aboriginal singer-songwriter Lizzie Steadman has an ability to tell a story through her songwriting and empowering vocals. She incorporates soul, folk, blues and country into the music she plays and writes. Lizzie grew up in a small country town near Tamworth and was introduced to country music by her dad, who always played and sung with the children when they were young. She taught herself to play guitar and it has become her constant companion on her adventures to date. This includes being a jillaroo in the Territory, an aged care nurse at Mutitjulu (Uluru), nursing in Tamworth and as a case worker assisting disadvantaged youth. Lizzie was awarded the Troy Cassar-Daley Indigenous scholarship through Create NSW to attend the CMAA Academy of Country Music in January 2018. Lizzie attended a songwriters’ retreat at The DAG Sheep Station and was mentored by Luke O’Shea, Shane Nicholson, Aleyce Simmonds, Kevin Bennett, Jeremy Edwards, Jeff Gibson and Brad Butcher. Matt grew up in the small South Australian town of Mount Gambier. 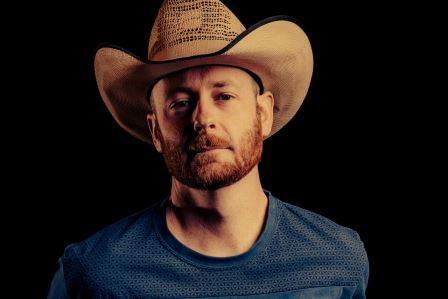 Under the guidance of his musical family, Matt grabbed hold of his country roots in his teens and has never looked back. Showcasing his skills at festivals all around the country, his tone and musical quality was influenced by Keith Urban, Rascal Flatts and Sam Hunt. He is also known to sing and pick to songs of George Jones and Vince Gill - Matt leaves no country music stone unturned. He’s played alongside and supported Lee Kernaghan, The Wolfe Brothers, and more recently, Aleyce Simmonds and Brad Butcher. Matt holds a Bachelor of Popular Music and has jammed with Redd Volkaert, the virtuoso guitarist from the late Merle Haggard's band. Matt is writing and recording for his debut release. For Stephanie Penrose, music is not just a dream – it’s her destiny. 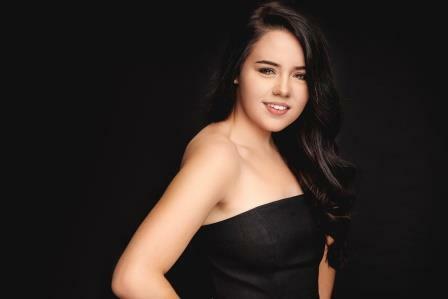 Stephanie was born and raised in the Country Music Capital and at age 11, surprised the heck out of her family when she came home from school with a trophy for singing. Steph believes her musical talent was a gift from her late grandfather, Howard (“Howie”), who played in dance bands all over the North West of NSW from the 1950s until his untimely passing in 2013. Steph attended Oxley High School, the alma mater of fellow country music artist Ashleigh Dallas. In 2010 Stephanie was the youngest person be invited to sing at the closing concert of the Tamworth Country Music Festival, riding a horse into Toyota Park and singing one of her favourite Dianna Corcoran songs. Stephanie has sung the national anthem at the PBR for the past five years and performed during both PBR and ABCRA events.